Lock in a great price for Zendoira – rated 8.6 by recent guests! Curtains on the cubicles, excellent rain showers and an elevator. Two nice bathrooms, shared with 4 other rooms but never a problem. 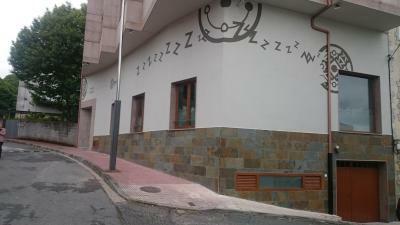 This is typical hostel on the Camino. 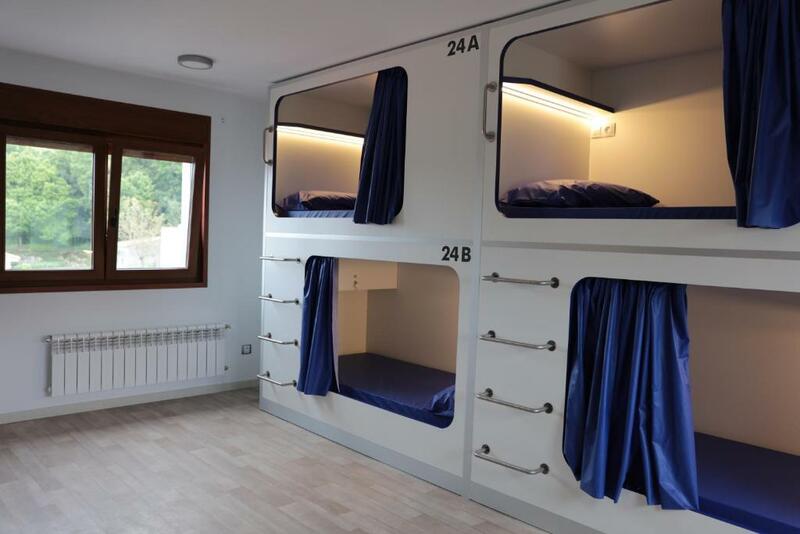 Bunk beds but they had curtains a light and a plug in. They also have an elevator. 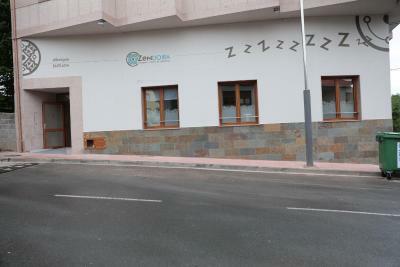 Super friendly staff and extremely clean Pension. The bunk beds provided curtains which gave each person privacy and the ability to sleep in darkness, read with the reading lightprovided, or plug in your phone to check emails. If you’re on the Camino this is a must stay, it will be a treat for the night!! Awesome place to stay whilst doing the Camino. 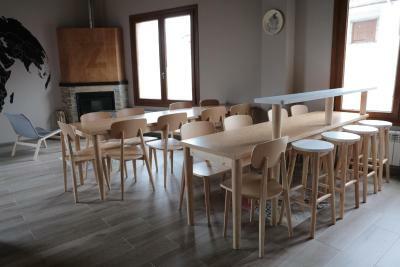 By far one of the nicest albergues we stayed at. Big clean bathroom with an enormous bathtub! Really nice interior design. We were able to experience the pilgrim community on the camino here. 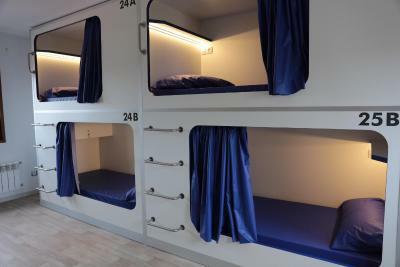 Loved the privacy of the bunks at Zendoira. The beds have curtains, shelves and reading lights. They also provided big comfy blankets and disposal sheet/pillowcase. The facility was very clean. Separate men's and women's bathrooms and the showers were big enough to hang your clean clothes without them getting soaked. 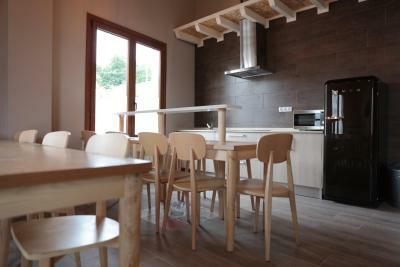 The kitchen and shared living area were clean and comfortable. We only boiled eggs but others were making full meals with everything provided in the kitchen. An overall great place to stay and worth the extra walk to get there. 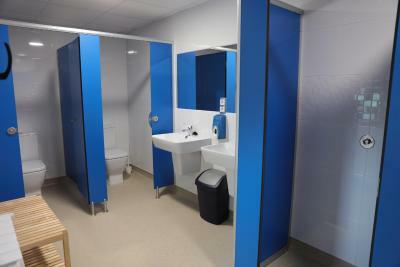 Facilities are pretty new - with nice communal space. Beds provide privacy but there are too many people in the rooms - on the Camino, there are always at least one snorer per 4 pilgrims... and in a room with more than 10, we have an orchestra! 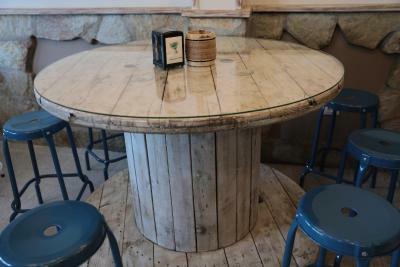 One of our best sellers in Palas de Rei! 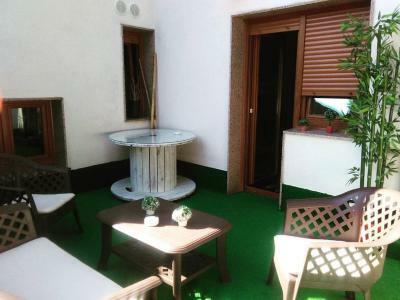 Located in Palas de Rei, Zendoira offers a terrace. 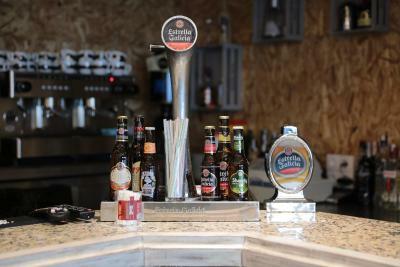 Among the various facilities are a shared lounge and a bar. Free WiFi and a shared kitchen are featured. At the hostel, every room is equipped with a desk. 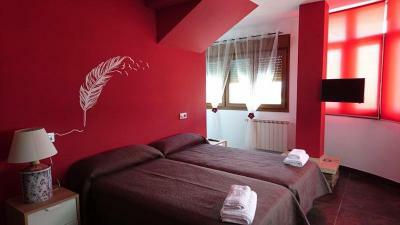 ZENDOIRA has some accommodations that feature mountain views, and every room includes a shared bathroom and a closet. The rooms will provide guests with a microwave. 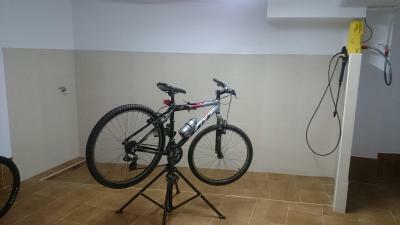 Lugo is 24 miles from the accommodation, while Portomarin is 19 miles from the property. The nearest airport is Santiago de Compostela Airport, 37 miles from Zendoira. 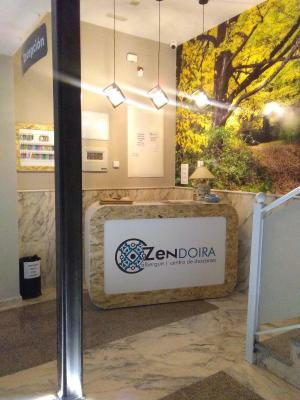 When would you like to stay at Zendoira? 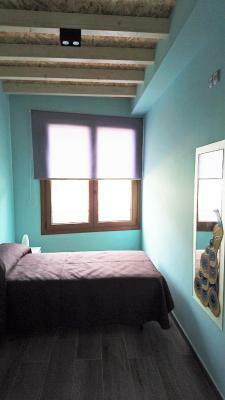 This twin/double room features a balcony, kitchenware and seating area. It comes with an external private bathroom. This dormitory room features a balcony, view and stovetop. This triple room has access to a shared bathroom set outside the room. This single room features a stovetop, kitchenette and microwave. House Rules Zendoira takes special requests – add in the next step! Zendoira accepts these cards and reserves the right to temporarily hold an amount prior to arrival. Room was great. Bathrooms were awesome! Private space, nice staff, full of designs, feel like home. My stay here was excellent, definately recommend to other users. Everything was good. Room was spacious. There are 5 double/twin rooms and 2 shower/toilets in one floor so no rush to get shower. Kitchen and lounge on the ground floor was nice. Supermarket was near. The shower was too small And inconvenient. The paper towel dispenser was hung in a way That it was difficult to use. 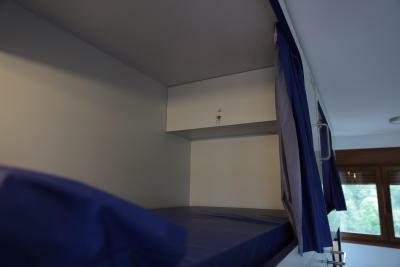 The sleeping in the capsule gave comfort and privacy. Squeaky bed base on 9B. 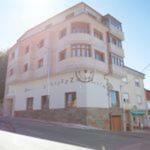 Great place for overnight stay for Camino Walkers and travellers. Apart from a squeaky wooden base on my bed, I slept very sounded and comfy. Enjoyed my stay.